It’s become an unexpected political issue. Governor Mitt Romney says he opposes the wind production tax credit, which offers incentives for energy companies to produce wind power. President Obama, on the other hand, says he supports them. It’s one of many issues for voters in swing states, like Colorado, where wind power is in action. The tax credits are set to expire this year, and supporters, like Colorado Senator Mark Udall, say Congress must act fast to extend them. David Frey reports from Washington. 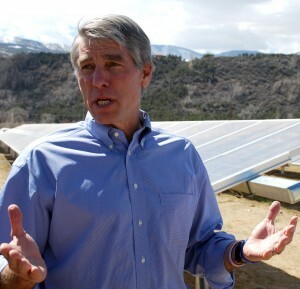 Senator Mark Udall has been something of a windbag lately. Here he is speaking on the Senate floor recently talking about tax incentives for wind power in North Carolina. Here’s the Democrat talking about wind power in Vermont. And here he is talking about his home state of Colorado, where he says the turbine company Vestus has laid off a hundred workers in Pueblo and Brighton recently because of uncertainty about the future of tax credits for wind power. So far, Udall has made seventeen speeches in favor of the wind production tax credit. And, he says, he isn’t done. The wind production tax credit is set to expire this year, and supporters, like Udall, say Congress needs to act now to extend it. Every delay results in more job losses in the wind power industry, they say, and if Congress doesn’t act soon, another wave of job cuts may be on the way. Supporters have dubbed this week “Wind Week.” They want Congress to act now, before it adjourns until after the elections. 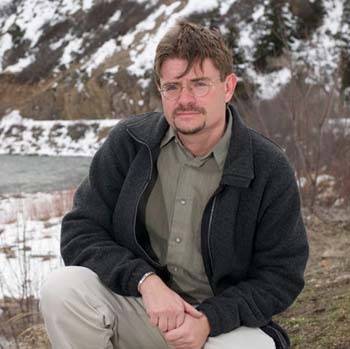 Bob Keefe is with the Natural Resources Defense Council. The issue is particularly critical in some swing states, like Colorado, where wind power is growing. The issue has bipartisan support in Colorado’s Congressional delegation. Only Representative Doug Lamborn, a Republican from Colorado Springs, has come out against it. But no one has championed it as much as Udall, who has taken to the floor again and again, talking about wind power in states like Illinois and Iowa. And, Udall tells his fellow senators, get used to hearing more this windbag from Colorado until the measure comes up for a vote.